What does a healthy, balanced diet look like? 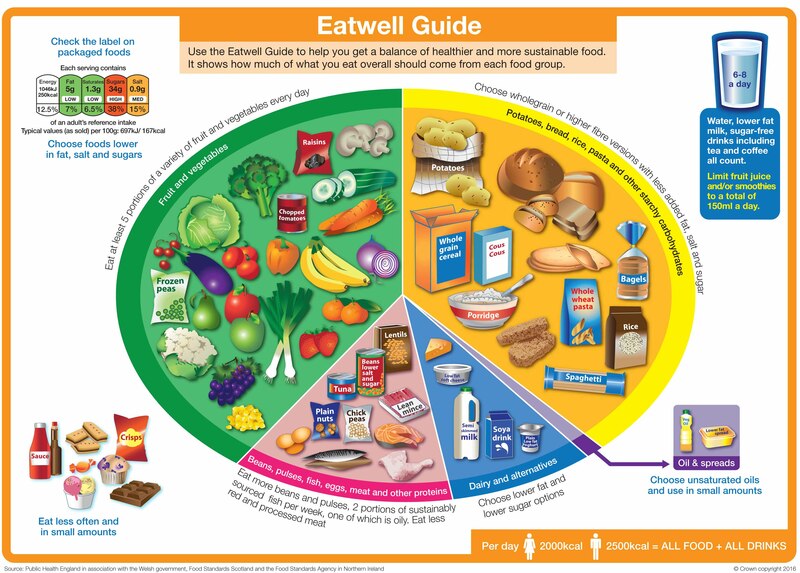 That’s the question answered by a new Eatwell Guide, launched this week to replace the eatwell plate. Read about the evidence behind the Guide in a new blog or head to GOV.UK to download high resolution versions. In this week’s Budget the Chancellor announced a levy on high sugar drinks from 2018. PHE Chief Exec Duncan Selbie said: “A sugary drinks levy is fabulous news for children and families in helping them to cut back on sugar. This will reduce the risks of obesity, tooth decay and other life threatening diseases. This is public health in action and a great foundation ahead of the child obesity strategy later this summer.” A levy or tax was 1 of 8 recommendations from PHE’s evidence review on sugar reduction. This week PHE Chief Economist Brian Ferguson published a 4th blog in a series on the need to invest in prevention. The blog supports the economic case for public health by showing how the benefits from public health can affect many different parts of the health and social care system (as well as to employers and other state sectors such as criminal justice and education). This week we published new profiles which provide a snapshot of children & young people’s health by local authority & CCG in England. This week PHE Chief Exec Duncan Selbie and Henry Kippin, Executive Director of Collaborate CIC, blogged to welcome the findings of the Commission on Place Based Health. On Monday PHE’s Kevin Fenton blogged to round up a great first week for the One You campaign. Have you tried the campaign’s ‘How are You’ quiz yet? We recently announced, for the third year, funding support for a range of innovative local projects that are helping people to recover from addiction to drugs and alcohol. Read PHE’s Rosanna O’Connor’s blog on this work.